Please select a facility below or scroll down to find out more information about our properties. 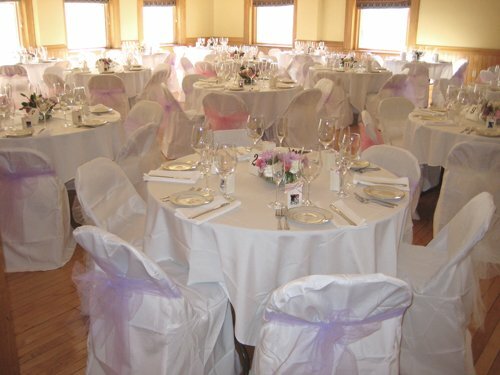 The Keeney Ballroom is a perfect location for your wedding reception, ceremony or a larger business or corporate meeting. All of the meeting rooms can be set lecture style and training tables or 48” rounds are available for writing workshops. 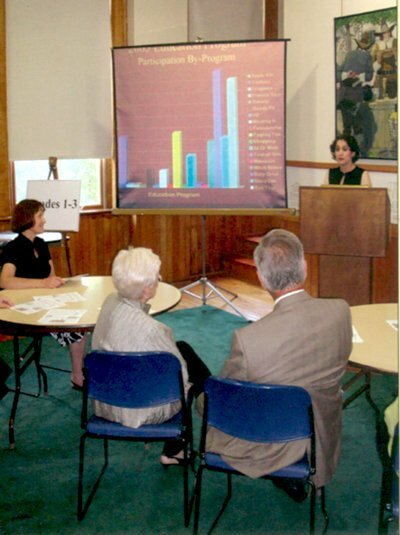 Keeney Memorial is equipped with slide and overhead projectors, screens, flip charts, mike stands and podiums. Wireless internet access is also available. Please call Jill Fletcher at (860) 529-7161 to learn of upgrades in our technology offerings or send her an e-mail here. Keeney Ballroom is handsomely appointed with generous windows, graceful chandeliers, and a gleaming Steinway baby grand piano. Our comfortable padded chairs are color coordinated to the attractively patterned roman shades. The Keeney Ballroom now offers a new state of the art sound system featuring Bose speakers along with a retractable projector and screen. This is an ideal space for large training sessions and business meetings. Groups from 50 to 200 enjoy business dinners and seminars, dances, weddings, family receptions, and other gala events in this 60’ x 30’ ballroom. 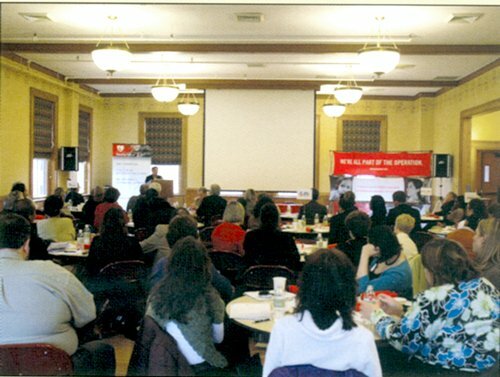 The Sherman Room, when used in combination with Keeney Ballroom, serves as an excellent space for break-out meetings. 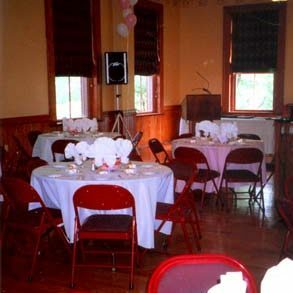 Its deep rose décor and splendid view of the neighboring historic houses complement Keeney Ballroom when used for wedding receptions and other large social events. Other break-out spaces are available in rooms throughout the building to accommodate the business needs for smaller group meetings. The Bardani Room adjacent to Keeney Ballroom, is perfect as a break-out space or for smaller meetings and gatherings. The 30’ x 22’ room’s large windows afford a beautiful view of the neighboring garden and historic buildings. 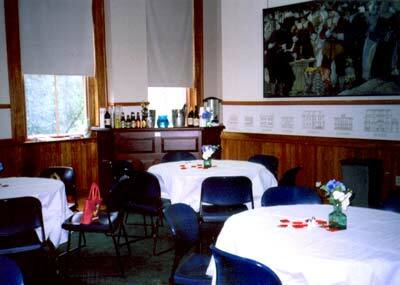 The first floor Rotary Room serves as an excellent location for smaller events, adjacent to the museum galleries. When the room is set lecture-style it can comfortably seat up to 70 people. 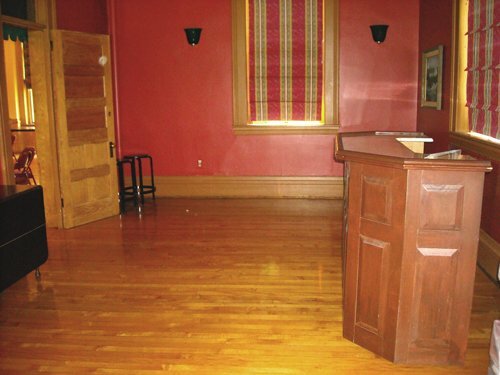 This 30’ x 24’ room also accommodates up to 100 for stand-up receptions and 48 people for sit down parties such as bridal showers and christenings. 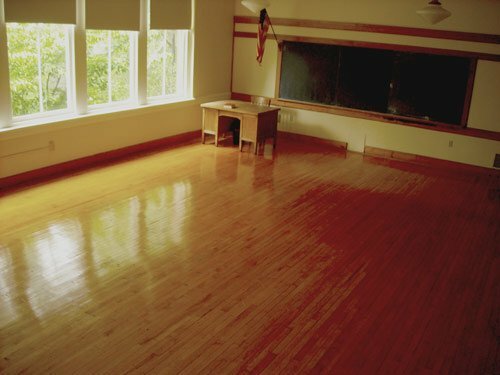 The light-filled May Classroom is a convenient meeting or break-out space also on the first floor. 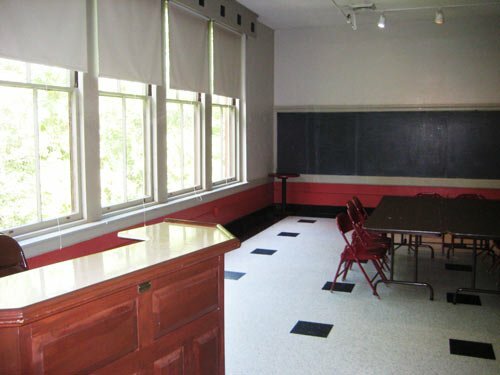 The May Classroom evokes a turn-of-the century schoolroom with vintage blackboards. The 30’ x 22’ room is ideal for committee meetings, hands-on projects, workshops and break-out groups. 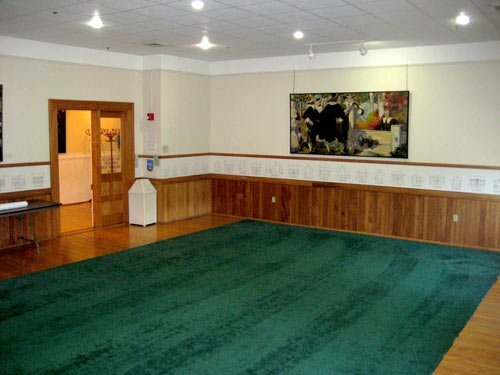 In addition to its expansive meeting rooms, the Keeney Center offers unique and delightful amenities, both inside and out. The Keeney Center is home to the Wethersfield Museum, the town’s Visitor Center and Museum Shop. Here, both permanent and changing exhibits related to Wethersfield history are housed in galleries on the first floor and the hallways are hung with art. Outdoors in a charming village setting, an array of restaurants and shops are just a few steps away from the Keeney Center. The historic brick 1764 Meeting House, the Town’s Ancient Burying Ground and fine museum houses are all within easy walking distance. Wethersfield offers the visitor an authentic Connecticut valley landscape that includes a majestic Green, a colonial warehouse and domestic architecture that spans from the 17th-century mansion house to 20th-century suburban bungalows. In the heart of Old Wethersfield, Connecticut’s largest historic district, the Keeney Center is located just ten minutes from downtown Hartford at Exit 26 off Interstate-91, and 20 minutes from downtown Middletown. Please let the caterer know you were referred by Jill Fletcher from The Keeney Center, (860) 529-7161, Jill.Fletcher@wethersfieldhistory.org .